It was Wednesday June 3rd, a school night but that didn’t matter, Mike gathering what he needed to sleep outside in the backyard. The most important item besides his sleeping bag was his wind-up alarm clock, making sure it was set before sunrise at 5:42, a little early, just in case the official time for the event was premature . The weather was forecast typical for Bay Area, low ground fog entering thru the Golden Gate, but mostly tracking north towards Marin and Sonoma Counties, the East Bay getting some broken overcast but as darkness set in, the sky coming to life with Venus and Jupiter broadcasting their presence. From his backyard on Greenly Drive, the evening damp pacific air filtering in thru the isthmus of the Golden Gate, Mike settling in for the night, his alarm set to waken a beholder. Project Climax Nevada Test Site blast. Operation Upshot of Project Climax flash lit up the horizon even in the dim slightly overcast morning sky, this blast was by far the largest Mike had witnessed. 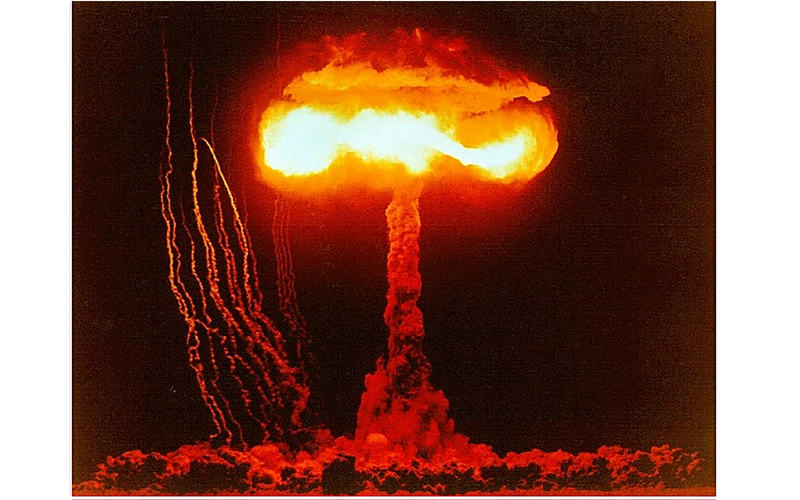 The air dropped device atomic blast was projected to be over 60 kilotons in magnitude and the prodigious impression justified their calculation. The last verification test he witnessed was on an April Saturday morning, it was reported as a 43 kilotons tower detonation and this one from appearance definitely surpassed it. 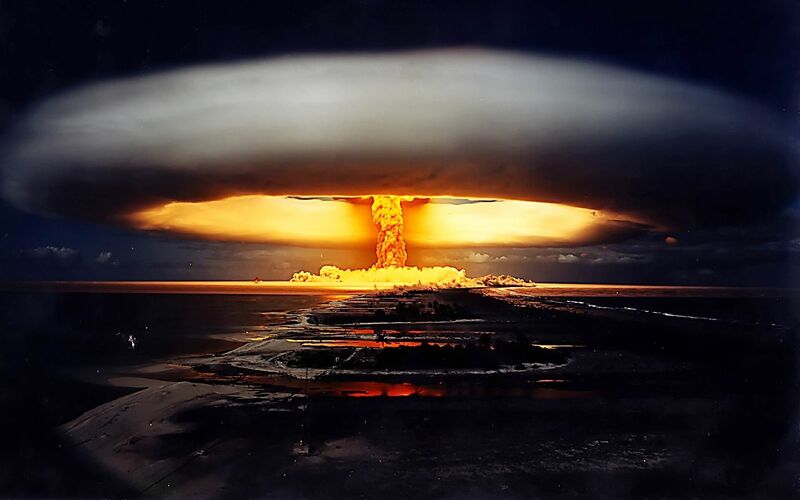 The news would flood the radio and television broadcast that night, announcing that a nuclear explosion rocked the Nevada Test Site desert, producing a giant mushroom cloud, bellowing up into the stratosphere and being observed as far away as Las Vegas. He wondered how many people had taken time out of their life to even acknowledge this page of history. The youth also having many other congruous questions, like why wasn’t the library frequented more often by a larger number of people and why didn’t more of humanity attest to the magnificence of a full moon or the streaking shower of a meteors plunging earthward displaying an effervescence tail. Was their inquisitiveness imprisoned or were they just jaundiced in their resolve and egocentric in their search. Entering this mausoleum like structure was always gratifying with its musty smell that imbued the ambiguous presences of antiquated publications. The building with its silence was mystic, concealing its greatest possessions between the folds of shrouded pages. The person engaged in employment could only direct, to acquire and instill content was the responsibility of the procurers. Some came for entertainment, some to be enlightened with wisdom and knowledge, others coming out of desperation, searching for an identity, a place or even a reason. Young Mike finding the library a never-ending resource of what life was about and what it had to offer. Through books he found that he could experience the perceptions and consciousness as viewed through the mind and eyes of those who substance and knowledge exceeded his endemic entity. 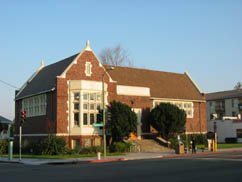 Mike discerned that to blame is not to accuse, accusations are fleeting, blame is substantive, he blamed his Mother for his addiction to the library. To him reading was never a school assignment, it was a cultivation, his mother handing him a book, The Oregon Trail by Francis Parkman. It was the beginning of a road that had no ending. At an earlier age he attempted Animal Farm by George Orwell, but he wasn’t ready for its social meaning and read the more understandable Walter Brookes, the Freddy Series instead. He later discovered a new adventure series when his cousin Bud O’Toole introduced him to Robert Sidney Bowen and the Dave Dawson WWII war adventure series, leaving several of the 1941-1946 published books written explicitly for the school age reading disciples before departing for the Korean war. Mike’s reading found a world of revelation, Kipling’s Jungle Book and many others, Toby Tyler, Tom Sawyer, Treasure Island and then ‘eureka’ a literary treasure, science fiction. 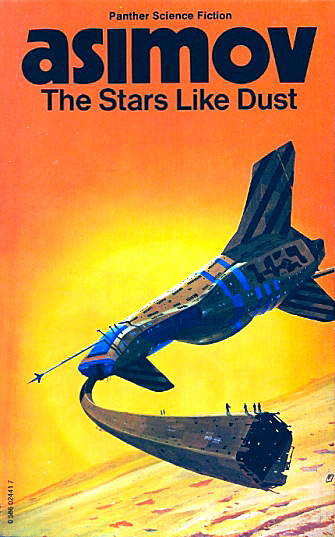 Robert A Heinlein’s Rocketship Galileo, The Red Planet, Craigie’s The Voyage of Luna One, Isaac Asimov Pebble in the Sky, The Stars Like Dust and his continuing saga of Foundation, an endless inexhaustible world emerging. He knew it was the ascendancy from reading not curiosity that instilled a desire for him to sleep outside and view the flash from a nuclear bomb lighting up the eastern horizon of the sky, even if only from the confines of his Oakland backyard. Mike reasoned, television was subjective, radio was subjective, even movies were subjective, but a novel was emancipating. This entry was posted on May 12, 2017 at 4:02 am and is filed under Uncategorized. You can follow any responses to this entry through the RSS 2.0 feed. You can leave a response, or trackback from your own site. Thank you for asking. I write everyday and have a lifetime of events to tell about. Its fun reliving and writing about them.